Because the main alcoholic drink in South Korea is shochu, a distilled beverage, the overall beer market is not large. 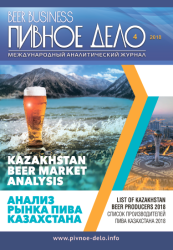 However, Japanese beer imports to the country have been continuously increasing and there is significant room for market development due to the drinks’ novelty and good taste. 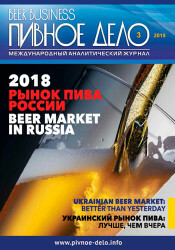 According to research company Canadean Ltd., the sales volume of beer in South Korea in 2015 was 2.34 million kiloliters — less than half that of Japan. In South Korea, Hitejinro Co. and Oriental Brewery Co. are the top two beer companies, with a more than 80 percent combined market share. 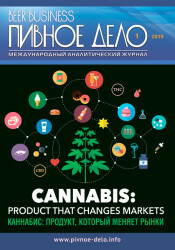 Imported beer accounts for only about 10 percent of the market. In 2010, Asahi Breweries Ltd. renewed the TV commercials for its major Super Dry brand to promote the beer head and quality of the product, which sells well at restaurants and convenience stores. Asahi’s sales in 2015 were 2½ times higher than five years before, at 27,000 kiloliters. The company’s more than 20 percent share of the imported beer market makes it the top foreign beer in South Korea. Kirin Brewery Co., Suntory Beer Ltd. and Sapporo Breweries Ltd. followed Asahi by making full-scale entries into the South Korean market. Sales of Japanese beer in 2016 are expected to exceed 50,000 kiloliters. 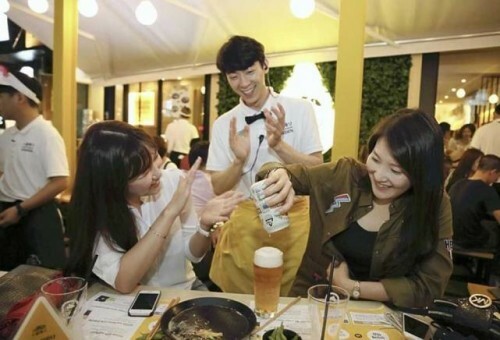 In a beer garden that Kirin opened in Seoul for a limited time in June, Ichibanshibori Frozen beers — in which fine ice particles mix with the beer head — were popular with female customers. 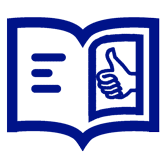 Beers can gain a good reputation via social networking services, according to experts. However, Japanese breweries are facing fierce competition from other major overseas beer companies, such as China’s Tsingtao Brewery Co. and the Dutch company Heineken. There have also been strong requests from retail stores to lower prices. 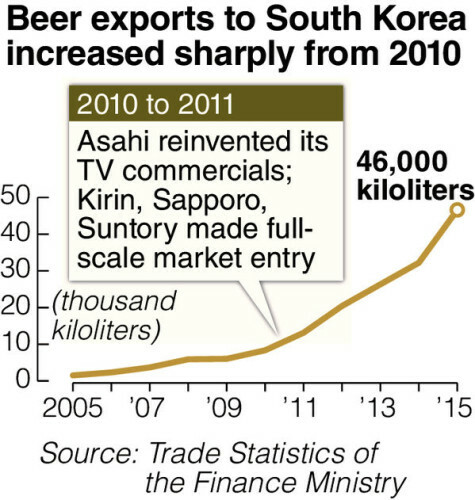 It will likely take some time before Japanese beer firms’ operations in South Korea contribute to their profits.